For the younger kids, we offer mini classes for children under 7 years to introduce them to all facets of cheerleading, such as dance, stunting and tumbling. The classes include fun warm-ups with conditioning and learning the basic moves for cheerleading. 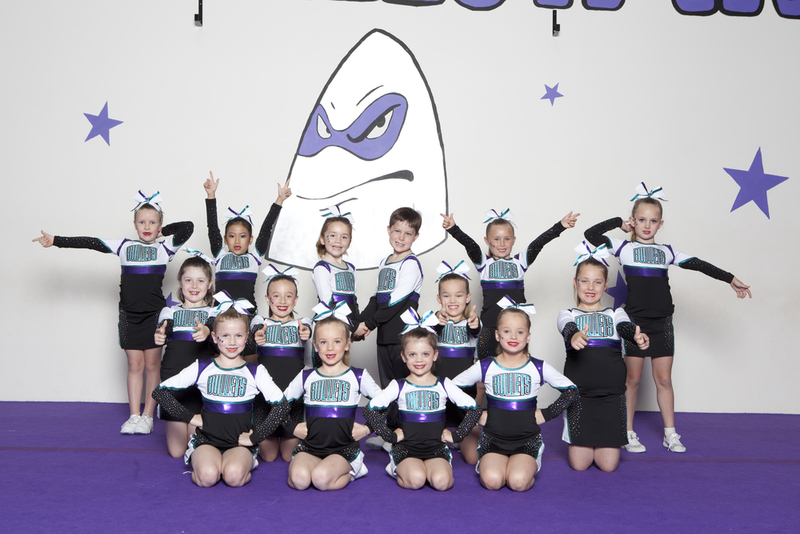 Once ready, our Mini Cheers move into our combined stunt and tumble classes. We offer Recreational classes for age 7 & under or Competitive teams - Mini Level 1 (PISTOLS).